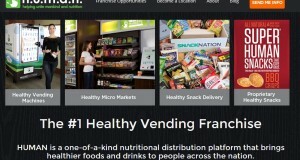 In recent years, you might have witnessed a boost in vending retail especially in the area of healthy vending. 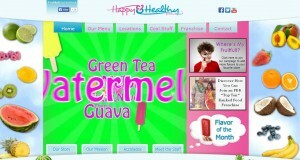 One of the leading companies in this business is Healthy You Vending. For those investors looking to start their own business, this is an excellent opportunity. 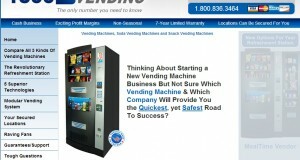 The company was first established 14 years ago and by now it has sold more than 100,000 vending machines all over the world. It provides brilliant opportunities to those wanting to enter the healthy foods industry. 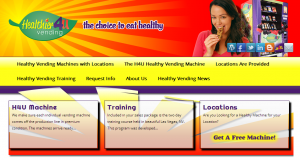 One major benefit of Healthy You Vending is the fact that it is not a franchise. This means that upfront costs, trademark costs along with royalty fees are all eliminated. The company also provides guarantees along with exceptional customer service. Whether you are new to the business or you are a veteran, Healthy You provides help along every stage of the business. The company helps you get the machine up and running. The company not only provides constant training to investors but also offers a two-day session called Healthy YOU university wherein rigorous training is provided to distributors. The training session provides hands on experience required to handle the vending machines along with information regarding the proprietary vending software, website support and business operations. The vending machines are owned locally and the distributors can access over 1,000 healthy products for their vending machines. Healthy You Vending provides healthy snack options and drinks which are organic, low-fat, kosher, low-card and gluten-free. The vending machine in itself carries a number of advantageous features which includes the ability to read credit and debit cards in addition to accepting coins and cash. It also carries the remote monitoring feature with the help of which an owner can be informed if a certain product in depleting in stock. In the absence of employees, the Healthy You Vending Machine carries a feature that keeps it in the energy saving mode and helps keep drinks cool overnight. In this way, power is not wasted. This hi-tech machine also comes with a SmartCard technology that permits the distributor to promptly upgrade the settings of the machine. This state of the art vending machine not only provides snacks but one can also plan their entire meals in a healthy manner with the help of a feature that lets you add Entrées and side dishes to your menu. Employees can also avail discounts as the machine can be programmed in such a manner. Furthermore, the Healthy You Vending Machines are acquiescent with the American’s With Disabilities 2012 guidelines especially made for vending machines. The company carries an A+ rating with the Better Business Bureau and is an active member of the United States Chamber of Commerce. 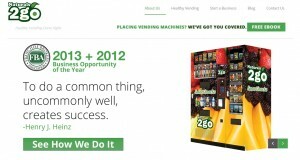 Healthy You charges no franchise, royalty or license fees and offers a number of vending investment packages ranging from $32,300 going up to $247,300.With more than 5000 customers and operators, the Healthy You Vending is better equipped than any other vending machine to boost your chances of success in the vending industry.